This study reports the contamination assessment of Pb, Cd, Hg and As in three fish species, one shrimp and one bivalve sampled from the Eastern Mediterranean (Lebanese coast). The samples were collected from three sites characterized by different types and levels of pollution. Pb, Cd, Hg and As levels were measured by inductively coupled plasma mass spectrometry following closed microwave (acid) digestion and using, for the first time, an accredited method to analyze Lebanese fishery products. The bivalve species showed the highest concentrations of Cd (0.09 − 1.19 µg g−1 ww), Pb (0.02 − 0.56 µg g−1 ww) and As (1.63 − 36.76 µg g−1 ww), whereas fish exhibited higher Hg concentrations (< 0.0084 − 0.25 µg g−1 ww) compared to crustaceans and bivalves (0.02 − 0.06 µg g−1 ww and < 0.008 − 0.023 µg g−1 ww, respectively). Trace metals concentrations were found to be below the maximum levels set by the European Commission. The human health risk of each contaminant was assessed using two different methods, namely target hazard quotients (THQs) and estimated weekly intake (EWI). 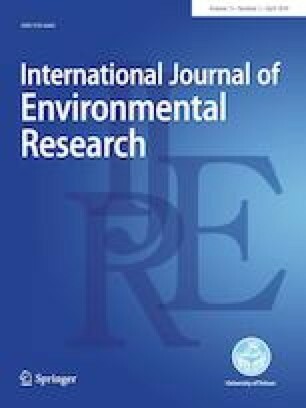 All calculated THQs were < 1 and EWI was lower than the correspondent provisional tolerable weekly intake (PTWI) for all elements, indicating that the consumption of fishery products that were analyzed in this study is unlikely to cause adverse effects in human health. Trace levels of Pb, Cd, Hg and As were assessed in three fish species, one crustacean and one bivalve from the Eastern Mediterranean (Lebanese coast). Human health risk was assessed using target hazard quotient and estimated weekly intake. A comparison study with data from other countries from the Mediterranean basin is provided. This Ph.D. scholarship was funded by the Lebanese National Council for Scientific Research (CNRS-L). MG is also grateful to Anses-Laboratory for Food Safety for offering her the opportunity to carry out the PhD project in the Department of Food chemical contaminants.